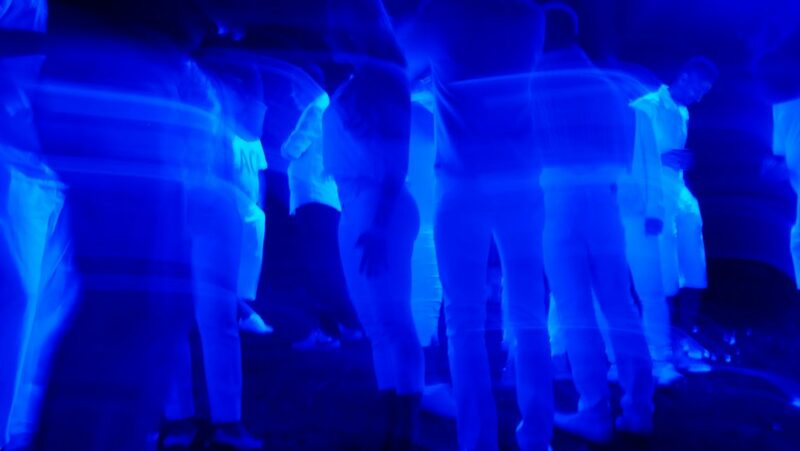 Have you ever been to a glow party and experienced the effects that a black light can create? Well, I have, and it is one of the most enjoyable types of dance experiences that you can have because you will not only be hearing the music, you can see it as well, especially if the performers or the DJ use the right type of lighting on the dance floor. Since I perform on occasion, I decided that it would be fun to have this type of effect at some of the venues that I frequent. I did quite a bit of research looking into the different UV and black lighting options that would work best on stage, and after a lot of consideration, I decided to go with the American DJ UV Canon Black Light. Now, I am not an expert in ultraviolet and black lighting and the effects that they can create on stage, but I have seen my share of performances, and I have noticed them being used by a number of local bands to enhance their performance. I decided to sit down with a few of these musicians to see what type of lighting they prefer to use on stage. The overall consensus amongst the group was that black light can be an excellent tool for almost any stage performance. I also spoke to a local DJ about this type of lighting and how he would use it on the dance floor. Even though these professionals agreed that my top choice was a good one, my recommendation may not work for your needs, so I have included a few additional products for you to consider as well. Before we dive into the reviews, let’s take a look at the different types of black and UV lighting that will be available and how you can use them to enhance your performance. What is Black and UV Lighting? UV light is the type of lighting that you see at the base of the spectrum. Typically, you can see colors that have a wavelength between 390nm and 700nm. Black and UV light is not visible to the human eye because it will have a frequency between 10nm and 400nm, but you can see the phosphors in the room that react to the radiation that is emitted by this type of lighting. This is what causes things like white clothing to glow while under this type of light. In addition to the ultraviolet light, many black lights emit a blue or violet light as well, which is why we can see a purple glow when they are used to illuminate an area. Black Lights – These are not the traditional black lights that you think of that we have been talking about in this guide. They do not illuminate the area because it is a type of lighting that has both UV light and visible light, so this is not ideal for DJs or performers to consider. These bulbs are clear glass, which is why visible light gets through them easily. Black Light Blue – This is a type of black light that is made with a deep purple glass, which produces the purple haze that you see. This helps filter out visible light as well as harmful rays. The light will appear to have a purple tint, but it will also create that glow effect that black lights are known for creating. Higher end lighting options tend to use Woods Glass, which will filter out all visible light. UVC – This is the type of UV lighting that has the shortest wavelength. Typically between 200nm and 290nm, these ultraviolet rays can be hazardous. Fortunately, the ozone layer absorbs these rays, so you will never have to worry about them, especially when it comes to lighting. UVB – This is UV lighting that falls between 290nm and 320nm. The potency of this lighting will vary based on the time of the year and where you live on the planet. This is the type of UV lighting that causes sunburn, and too much of it can cause skin malignancies. Be aware that these rays can reflect off of snow and water. UVA – This is the UV light that has the longest wavelength, which falls between 320nm and 400nm. 95 percent of the UV lighting that reaches the planet is UVA, and it is what is responsible for your skin tanning, though too much exposure can still lead to some skin issues. The higher the wavelength, the less dangerous the UV light will be, which is why most black lights have a wavelength of at least 365nm. Having bulbs with glass around the light source will also help negate any of the harmful rays from UV light, which is why you do not get a tan from a black light. When you invest in black lights for your stage, you will have the option of getting different types of lights. These include fluorescent lights, LED lights, and HID lights, so what is the difference? Well, let’s break it down so that you can make an educated decision. Fluorescent – Many people decide to go with fluorescent lighting because it is more affordable. They are commonly seen in tube form, but the glass part of the bulb is known to be fragile, so if you plan on traveling a lot with the lighting for your stage, you may want to purchase lights that are more durable. LED – This type of lighting tends to be the more durable option, but they tend to have a higher purchase price. With that being said, they are much more energy efficient, and they do not get hot when they are burning for hours at a time. HID – This is a type of lighting that is not common because it can cost quite a bit to use this lighting on stage. They take time to warm up, and after a while, they will get too hot for an indoor stage. In addition, these bulbs are expensive to replace, so they are not going to be the most economical option for you or the venue that you are playing. On the other hand, if you need your lights to go quite a distance, this is a great option to consider. In fact, it is an excellent option for outdoor events where the lights will need to extend quite a bit. Are Black and UV Light Safe? 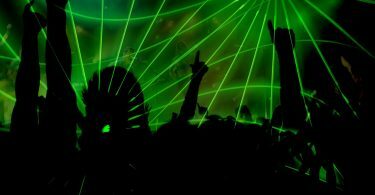 Since it is well known that the use of UV lights for tanning can damage your skin and your eyes, many people wonder if using UV and black lights at a performance is going to be safe for them and their guests, especially if you are going to be exposed to the lighting for more than a few hours. As we just discussed, there are different levels of UV lighting, and they are not all safe for us, but black lights tend to be UVA, which has a long wave UV spectrum that is safe for your eyes. Black lighting is often used to create an atmosphere, so whether you are using it as a DJ to enhance the dance floor or as lighting effects for your performance, you will be able to enjoy this type of lighting. The purple glow of the lighting can create an effect in the entire room, so you will be able to create a purple glowing effect in the space. If you use fog during your performance, you can even create a purple haze as well that will create an effect that is great for Halloween gigs as well as other events throughout the year. If you want an extra effect on the dance floor, invite your guests to wear white so that their clothing glows under the black light effect. 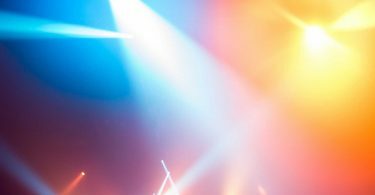 No matter where you are performing, you are most likely going to want lighting that can be mounted to something so that it can be positioned perfectly for your performance. Some options have brackets that you can mount from above as well as those that can be placed on the floor. In most situations, you are going to want a combination of the two types so that you can have a larger light display that will awe your audience. There are even strips of this type of lighting that can be cut and used to make the darkest corners of the room glow. How long are you going to be using the black and UV lights that you purchase? If you set them up at the beginning of the night and plan to keep them going until late, you may want to consider that battery powered lights may not last all night, especially if you plan on using more than one color during your performance. That being said, most high-quality black lights are rated to last about 20 hours. This is great because when you have an outdoor concert, you may not have the access that you need to enough electric outlets to power all of your UV lights. Are you going to be using your black lights outdoors? If you do plan to perform or DJ in an outdoor space, then you may want to consider weatherproof black lights that will not be damaged by a little rain. 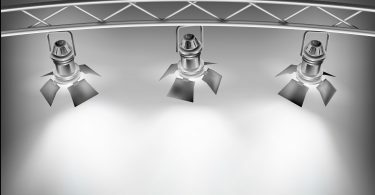 These are ideal for performances on a cruise ship, at a theme park, or on an outdoor stage that may not have adequate cover for all of your lighting. With lighting, you do not need to purchase a well-known brand to get a good product, but there are a few brands worth considering. Checking out these brands before making a purchase can help ensure that you get good quality lighting. This product, which comes from American DJ, in my opinion, provides just about everything you need to provide a memorable DJ experience for your parties. The product has a “canon” design, which summarizes the powerful output of the device, especially when you’re DJ’ing in a significantly dark area. For this reason, I think that the American DJ UV Canon Black Light is the go-to device when you purchase a few for an event. As mentioned, the light output of this product is very significant; it uses a 400-watt true UV backlight, which is very bright. It’s noteworthy that it does take at least five minutes to charge up to its maximum output, but once this time has expired, you’ll be very impressed. One of the first things that I noticed is that the beam angle is very narrow, so I would suggest using this product with a few others of its type, but you can also use a few more wide-angle lighting options as well for increased effect. The arm that holds the canon in place has a few screw holes in it so that you can mount this product almost anywhere. While the arm does not move independently, you can experiment ahead of your next show with angles that can help your event pop. According to American DJ, this product is, “designed with large venues in mind,” so if you are planning a live musical performance or you’re just going to be DJ’ing a larger venue, then this is potentially a product that can fit your needs. Due to the advanced mechanics of the product, it does weigh about 30 pounds, so make sure that you attach the brackets to a surface that can manage this higher weight. Like many black light canons of this type, it has a protective grate around the front of the product. This is included because of the fragility of the bulb itself – things like fingerprints and jostling can shorten the life of the bulb, so I found it a nice feature that American DJ included this protective layer. Also, this is a product that requires care – doing things like turning it on after only a short period has expired from when it was last turned on will significantly reduce the life of the bulb. Also, remember that this is a powerful bulb/light, so I found that it produces a bit of extra heat when it is illuminated for long periods of time. During my tests, the light was generating heat that I could feel about two feet from the bulb itself, but past that distance, there was no noticeable heating. Overall, with this product, you’ll have the power you need for your gigs, which is why I recommend it to serious musicians and DJs that want to step up their game – it’s even very affordable for those on a budget. When you’re looking for a product that can light up your performance, I suggest giving the ADJ Products ECO UV Bar Plus IR a try. This product is quite different from the previous product because it has 18 smaller-sized bulbs and has a light bar design. It is designed with easy-mounting in mind; you just have to use screws to hang it from various surfaces like wood. Also, just because the bulbs are on the smaller size doesn’t mean that this product has a weak output; in fact, I was somewhat amazed at just how much illumination this bar provides. In my opinion, a few of these can easily provide the black light output you need for a performance, and they can work very well to illuminate a DJ booth because they are straight and work well to highlight the equipment. Longevity also seems to be a major consideration in the design of this product; American DJ states that the product can last for approximately 50,000 hours of use, which means that you should be able to use it for years. Even with all of the output, you might be amazed to hear that the ECO US Bar Plus only draws about 60 watts of power, which is considerably low for those worried about blowing out the outlets of their next gig. When it comes to onboard controls, the product may seem somewhat simplistic when you first look at it. You may have this impression because it only has an on and off switch, but fortunately, the product also comes with an IR remote control that significantly opens up the product’s functionality. With the remote, you’ll be able to affect the blink rate of the bulbs so that you can create the lighting ambiance that you need for your performance. I also appreciated how the LEDs are covered with sturdy plastic; too often have I heard horror stories about how musicians purchased UV lighting for their gigs and received the product with broken bulbs, so having some extra protection for these very fragile lights. These are also very affordable, so purchasing multiple bars won’t set you back by much. This product, which is manufactured by OPPSK, is a black light bar that has 18 black light LEDs that produce a relatively high level of brightness for your gigs. I loved the fact that the bracket provides just about any lighting angle that you want; use the crank to turn the product with relative ease and the bracket itself has screw holes so that you can hang it with ease. The product itself is also only about five pounds, which makes it very easy to attach without having weight issues. The LEDs are presented in three rows of six, and each line is independently controllable so that you can achieve more than a few unique effects for your performances. If you opt to use DMX mode, you can even pre-program the lights to perform in different ways. In fact, you can also program this product to be enabled when it detects sound. During my tests, I found that the light easily covered a 30- to 40-foot area, so if you’re going to be using this for a larger venue, then I suggest getting a couple to get maximum black light coverage. Fortunately, this product is very inexpensive, so purchasing more than one won’t be much of a financial burden (Price on Amazon: $72.99). Sometimes, when you’re playing a gig, you play outdoors, and for many of the lighting options on the market, rain will destroy your device. This product, which is manufactured by HouLight, is IP65-rated, which means that it is water-resistant, so a little bit of rain isn’t going to ruin your show/party. The visible output of this product is also very powerful; it uses a premium Epistar LED chip that is very bright and uses a reflective surface to generate some impressive black light illumination. When you are setting up, you can use the bracket to adjust the angle of the light’s output so that you can have the most coverage in the room where you are performing. Despite its impressive performance, one of the most surprising features of this HouLight product for me was its price. This is a very budget-friendly product that makes it very easy to purchase multiple lights so that you can really light up the room (Price on Amazon: $56.99). Each product has a 120-degree beam angle, which is accomplished via the internally reflective surface of the lamp itself. The lighting assembly is also well-protected; the company used tempered glass, so you shouldn’t have much of an issue if it gets jostled during shipping or when you’re setting up for your gigs. This DragonX product stood out for me due to the sheer amount of LED black lights that are set on the spotlight’s body. In fact, the product has 54 black lights that each have a fairly strong output that will illuminate an area of about 30 to 40 feet in front of the bulbs. It’s important to note that this doesn’t use true UV, but if you need a venue lit up with black light, then this is a good option. With the onboard control panel, you can adjust the strobe frequency of the spotlight and the flash rate as well. This DragonX spotlight comes with a very sturdy stand that allows the product to be placed directly on the ground/floor. In addition to this, the front bracket that serves as a stand also has a hole in it for a screw so that you can also place the product on a stand on directly in a ceiling or wall. I also found the fact that this product has sound-activated programs to be very useful for gig use, and you can even master/slave the product to others of its type so that you can incorporate the product into your stage lighting repertoire. If you need absolute power, then this product, which is another excellent device from American DJ, really may have the oomph that you need. 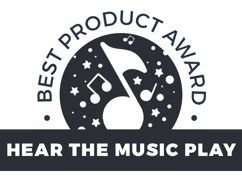 Once again, this is another one of the company’s “cannon” products, so this is a product built with professional music-makers in mind. One of the features that can be very useful for a musician is the DMX functionality; with it, you’ll have a relatively easy time setting up master/slave configurations with your entire lighting setup so that you can enable strobe or other effects when you need them during your set. In fact, the product even supports sound activation, which some musicians use for their gigs. When you’re filming your performances, some LED lights can cause a bit of unattractive flicker, but this product packs in a flicker-free setting that will make the light appear relatively static during the footage. In any situation, I was very impressed with the COB UV LEDs – they produced a top-tier LED wash that means that you won’t need a lot of these to get a lot of coverage at your venue. When working with this light, one of the first things I noticed is that this isn’t a particularly lightweight product; it needs to have a specific weight to accommodate the chip on-board (COB) technology, so if the surface cannot withstand 10 pounds, this may not work well for you. The only real drawback for this product, in my mind, is that it is a bit on the expensive side, but if you’re a professional musician or DJ that wants a truly epic stage performance, then you won’t mind investing in such a well-performing product (Price on Amazon: $419.99). In my opinion, out of the products I covered, this DeepDream UV Light LED Strip might be one of the best for a DJ that’s just looking for some cool lighting effects for his or her gear. This product, as you might expect, comes on a strip, so where you put it will be entirely up to your aesthetic preferences. It is also very advantageous that the strips are IP65-certified, so you can even get them a bit wet during a rainstorm. While I wouldn’t call this one of the brightest UV black lighting options out there, its effect is more than enough for many intimate gigs. To apply the product, you use the black tape that proved to be very adhesive when I tested it out. These LED strips can also be cut so that you don’t have an excess, which can be very useful when you are decorating your gear. Are you ready to bring your stage performance to the next level with black and UV lighting options that will make your stage glow purple? As you can see, there are quite a few options that you can choose from that will make your performance more enjoyable for your audience. DJs can even use this type of lighting to enhance the dance floor and entertain the audience. I hope that my research into black and UV lighting options has helped you enhance your stage with a lighting setup that works great for you and your band. Once you perform with this type of lighting, you will try to find more reasons to use black or ultraviolet lights on stage.